This first-time requirement originated in the 2016 amendments to the Toxic Substances Control Act (TSCA) (Section 8(b)(10)) wherein Congress directed the Agency to develop an inventory of mercury supply, use, and trade in the United States and, to assist in that development, to issue a rule requiring that certain commercial entities provide the EPA with periodic reports. 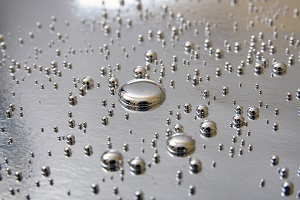 The inventory is intended to aid the Agency in its efforts “to achieve further reductions in mercury use.” The EPA says it expects to publish the first mercury inventory by April 1, 2020, and every 3 years thereafter. 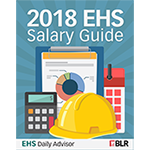 The EPA proposed the reporting rule in October 2017 and issued it in final form in June 2018 (June 27, 2018, Federal Register (FR)). That gave the regulated community more than 1 year to determine if they are subject to reporting and to grasp the specifics of the rule. As July 1 approaches, those who must report or are not sure if they must should read the rule, determine if it is applicable to them and, if it is, determine what they must do to comply. It must be emphasized that the rule—called Mercury; Reporting Requirements for the TSCA Mercury Inventory—is somewhat complicated in terms of who must report, who is exempt from reporting, and what information must be reported or may be excluded. The EPA may be tolerant of errors or outright noncompliance for the initial reporting year (subsequent reporting will be required in 3-year intervals), but that is not guaranteed. Businesses are subject to reporting if they engaged in the regulated activities (i.e., manufacture, import, or use) with any amount of mercury. There is no de minimis amount or reporting threshold. In other words, reporting is mandatory no matter the size of your business. During rulemaking, the Agency estimated that approximately 211 entities (or 40 percent of all reporting entities) subject to the rule are small businesses. Recognizing that some of these businesses, and perhaps many of them, may not be familiar with meeting environmental regulations, the Agency has issued a plain-English compliance guide and a list of frequently asked questions, as well as directions for meeting the requirement to submit information electronically. If either elemental mercury or a mercury compound was part of your business in 2018, we urge you to determine your regulatory status now and develop a compliance plan. Below, we provide highlights of the rule to get you started. To manufacture mercury means to produce or recover it from industrial wastes, air pollution control residuals, scrap products, mining by-product, or other materials. In general, you must report if your company did any of the following for the purpose of obtaining an immediate or eventual commercial advantage—manufactured (recovered) or imported mercury, manufactured or imported a mercury-added product, and/or intentionally used mercury in a manufacturing process. Mercury was present during your manufacturing process, but you did not intentionally add mercury to your product or process. You manufactured mercury only as an impurity in your manufacturing process. All of the mercury you manufactured was handled as a waste. Your manufacturing activity was not undertaken for the purpose of obtaining an immediate or eventual commercial advantage. You used, sold, conveyed, transferred, distributed, stored, or exported mercury or a mercury-added product, but you did not first manufacture or import it or use it in a manufacturing process. You imported an assembled product where mercury is present in a component that is a mercury-added product. You manufactured an assembled product where mercury is present in a component that is a mercury-added product, but you did not first manufacture or import the component (e.g., you purchased the component domestically). Reporting is not required for mercury waste management (unless mercury is recovered for reuse or sale) for assembled products where mercury is present in a component that is a mercury-added product or if the mercury is only present as an impurity. Several types of data do not need to be reported for persons who submit information under the Interstate Mercury Education and Reduction Clearinghouse (IMERC) or the EPA’s Chemical Data Reporting (CDR). Product categories and subcategories as applicable. Again, there is only one way to report—using the Mercury Electronic Reporting (MER) application, which is available at the EPA’s Central Data Exchange (CDX). Most of the reporting involves entering a number, checking a box, or selecting an item from a dropdown menu. You must have an account with the CDX.